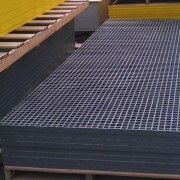 FRP Grating and Structural Shapes – IN STOCK! Fiberman provides Fiberglass Grating and FRP Structural Shapes to customers in Victoria, Nanaimo and the entire Vancouver Island. Our experts know the FRP grating that is right for your application and are standing by and ready to help. Our super buying power means that you will always get the best price from Fiberman. We stock hundreds of molded and pultududed fiberglass grating in 3′ x 10′, 4′ x 8′, 4′ x 12′, and 5′ x 10′ panel sizes. Panel Thicknesses include 1″, 1.5″ and 2″ deep. Panel colours are Dark Grey, Light Grey, yellow, and green. We also stock structural FRP shapes such as I-Beam, Angle, Square tube, and C-channel. With our central location in Burnaby, BC, we can usually ship next day to Victoria, Nanaimo, Duncan, Port Alberni, Parksville, Courtenay, and Campbell River. We are ready to answer your questions at 1.844.599.0260 or email us or send us a Quick Quote Request. Vinyl ester: A chemically resistant system that provides the highest level of corrosion protection. Standard colors: Yellow, Dark Gray, and Orange. Equivalent to Competitor Brand Vinyl Fiberglass Grating and Strongwell Duragrate VE. 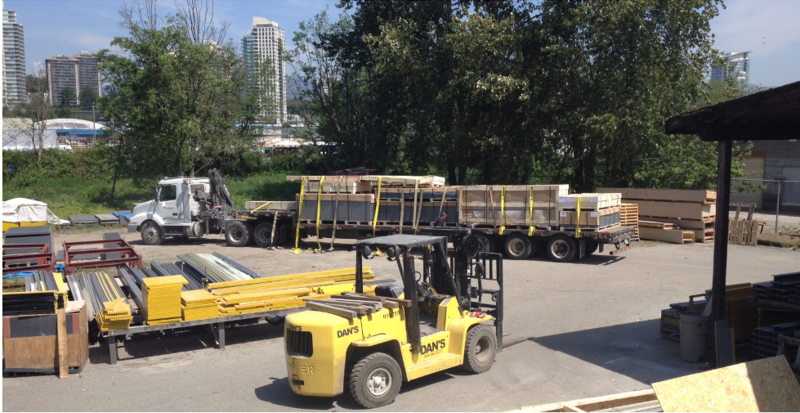 Fiberman’s headquarters in Burnaby, BC stocks many Molded Fiberglass Grating profiles, ready to ship anywher on Vancouver Island including Victoria, Nanaimo, Duncan, Port Alberni, Parksville, Courtenay, and Campbell River. Fiberman’s pricing and service experts are standing by to help to find the best product for your project. With many varieties in stock and expedited shipping, we can supply your project with Molded Fiberglass Grating at the best possible price with fast delivery. We also ship container loads at special bulk pricing for contractors.